Facials. A huge part of my life revolves around facials. From acne care, to hydration, to lifting, to relaxing, I've tried quite a lot of them. Of course, my main purpose for a facial is always to get my skin cleared, which a lot of times include heavy extractions and hydration care. Though, once in a while, I love treating my face to a relaxing and nurturing facial treatment that involves rejuvenation and amazing destressing face, neck, and shoulder massages. 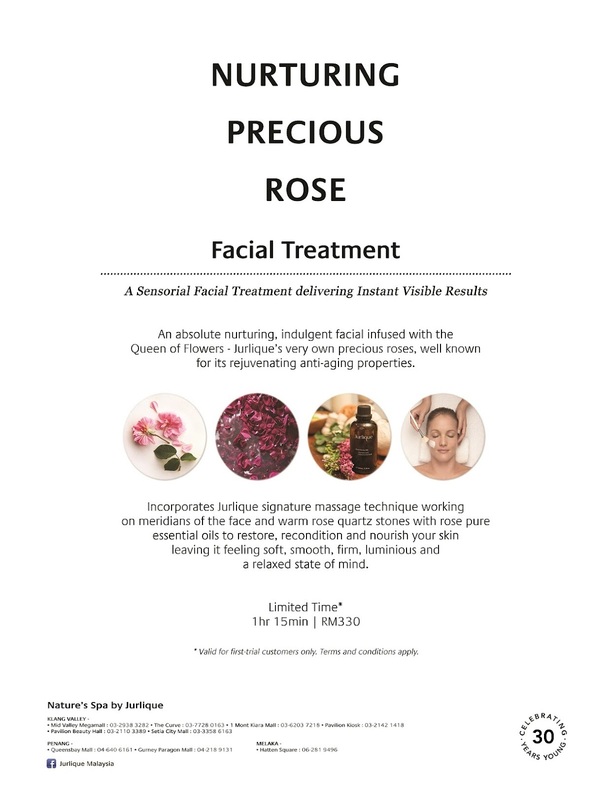 This is exactly what Jurlique's new Nurturing Precious Rose Facial Treatment do. It aims to pamper you! Some fun fact, rose contributes to overall pleasure and feeling of well being. It has an emotional and psychological effect on us that benefit us to a certain extend. Rose scent is a natural mild antidepressant, it boost self esteem, confidence, and mental strength. It drive away depression because it relieves anxiety and invokes positive thoughts, spiritual relaxation and feelings of joy, happiness, and hope. It also helps with anti-ageing, provides antioxidant, and regulates hormone production that naturally helps to keep your overall balance within your body. I had the opportunity to try this facial at the Jurlique's boutique in 1MontKiara Mall. It's a pretty decent mall and usually parking is not much of a problem. It's not an overly crowded mall, most people go there for the food or grocery shopping. 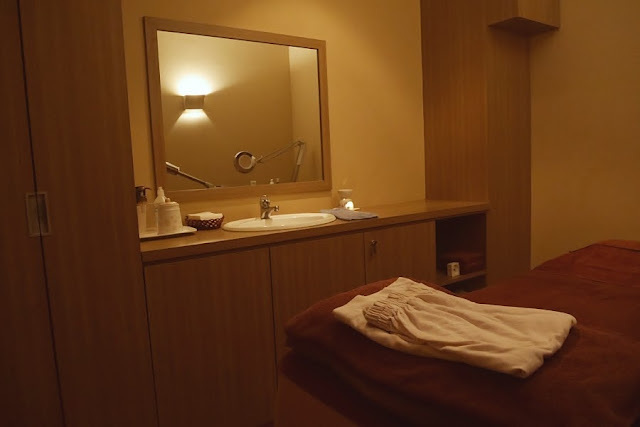 Also, while I was in my treatment room, it was surprisingly quiet, which is great because I can truly relax and unwind throughout the process. When I say relaxing, they did an amazing job. 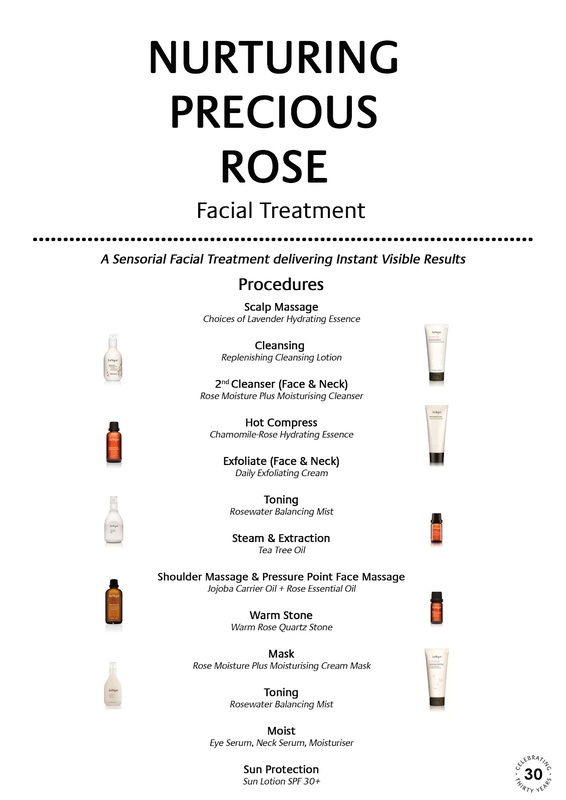 Of course, my favourite parts are the scalp massage, and the shoulder massage and pressure point face massage. Talking about destress, this is quite it. You know how some places go crazy running through their fingers all over your head and tugging and pulling your hair along the way, calling it scalp massage when it feels more like violating my skull? Well, this is the total opposite, thank God, at least some people understands the meaning to proper relaxing scalp massage. Gentle yet applies proper pressure at the right points. Additionally, the shoulder and face massage was truly luxurious, it somehow felt as if it melts away my negative aura throughout the week and gave me a fresh start to conquer the world again. 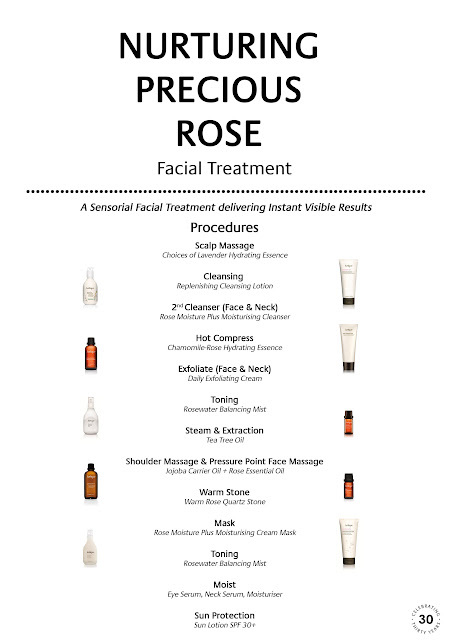 Obviously, it's a lot of rose scented products because it's a rose facial treatment. There's a lot of breathing in and breathing out to do in this treatment, which somewhat helps to naturally calm your mind, body, and soul. As mentioned earlier, rose scent triggers happy hormones, which made me a much cheerful and carefree girl after the treatment that automatically made me looked more radiant and glowy. Oh my, how I missed that total rejuvenated feeling now. 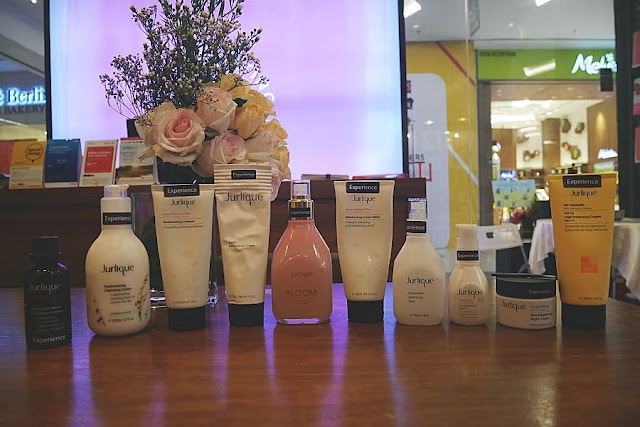 If you don't already know, Jurlique is quite a famous brand and it's also one of the luxurious ones in town. 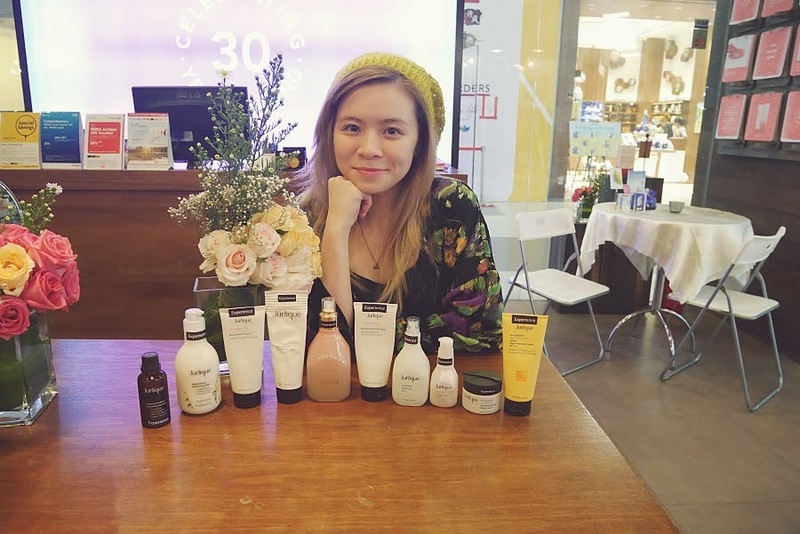 A few of their best selling products are the Rose Balancing Mist, Herbal Recovery Advanced Serum, and the latest Limited Edition Precious Rose Hand Cream. They try to keep their products as pure and natural as possible, making sure each ingredient is at its optimum quality. 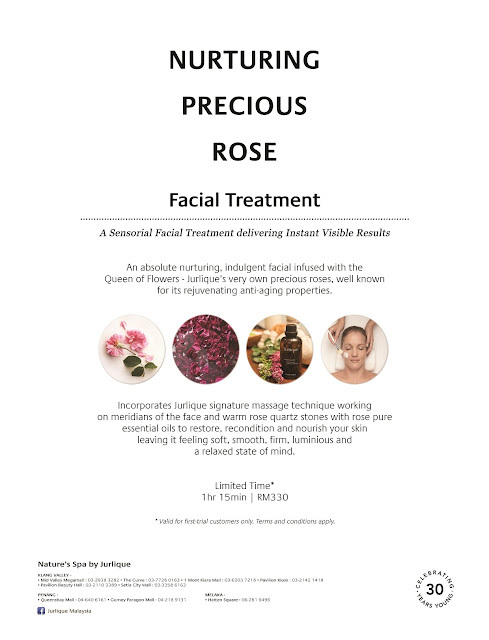 For more information on Jurlique's Nurturing Precious Rose Facial Treatment, visit Jurlique Malaysia Facebook Page or official website. sound like a nice facial treatment. Lets see.. I haven't been to one for.. long time .. need check this if hav the time.